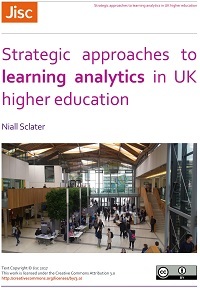 Our latest UK Learning Analytics Network event attracted quite a few new attendees as well as some familiar faces. 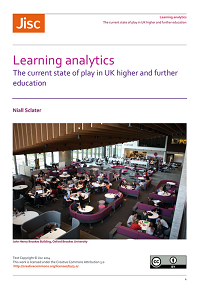 After a welcome from Prof. Duncan Lawson, Pro-Vice Chancellor: Formative Education, we had an update on Jisc’s Effective Learning Analytics project from Paul Bailey [slides – ppt 334KB]. 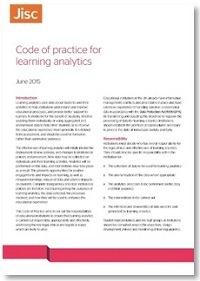 More than 85 institutions have now expressed an interest in involvement, and are at varying stages in their implementation of learning analytics. 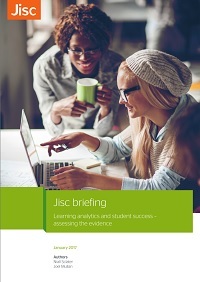 Paul outlined the processes for institutions wishing to engage with Jisc’s learning analytics architecture. 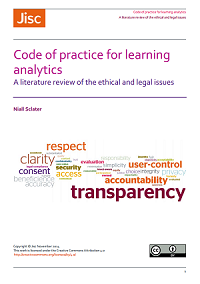 After a workshop with stakeholders, the institution can undertake a self-assessment process, leading to an indication of its readiness for learning analytics. It can then sign up for connection to the hosted learning analytics warehouse, and various services as required. Jisc will then support the institution in its implementation. 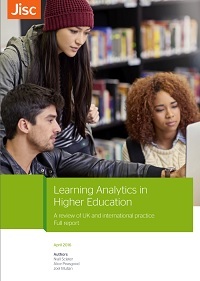 Paul also mentioned Jisc’s recent report: Learning Analytics in Higher Education: A review of UK and international practice. Rob informed us that 12-36 months’ worth of historical data are required from institutions to develop predictive models. To use and apply information strategically (through specified indicators) to retain students and progress them to complete their study goals. Processes that impact student success – interventions, enhancing courses etc. The next session was given by Jisc’s Director of Technology and Analytics, Michael Webb, who gave live demos of Student Success Plan, the intervention management tool, and the Jisc student app, which was recently the subject of articles in The Independent and The Herald. Over lunch we had demos from some of the leading vendors in this space: Blackboard, Civitas Learning, Tribal and SolutionPath, before a lively panel session including representatives from these organisations, together with Lindsay Pineda from Unicon. Afternoon sessions included an update on the Jisc-funded mini analytics project and other developments at The City of Liverpool College from Dale Davies [slides – ppt 5.1GB]. Dale showed how the College is using smart rooms and emotion detection to enhance learning. 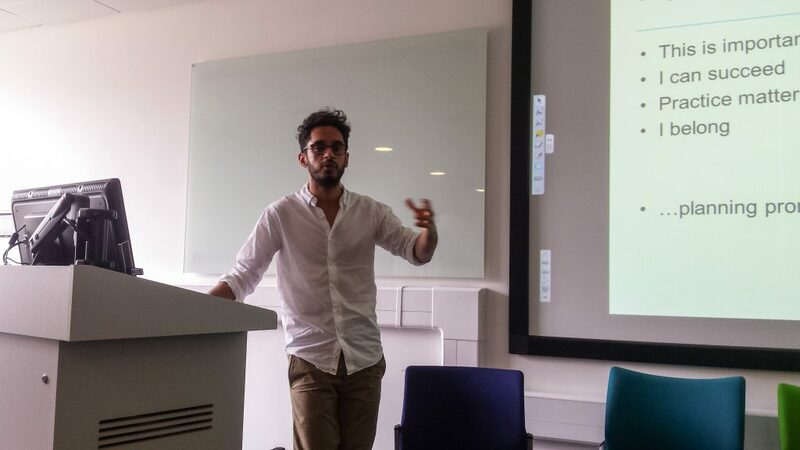 We were also entertained and intrigued by Raj Chande’s presentation on the activities of the Behavioural Insights Team, which originated in the Cabinet Office, and applies business intelligence to public policy. Raj outlined how “nudges” are being used to increase the submission of tax returns, with small enhancements to processes and wording having significant and disproportionate effects on returns. He also showed how prescriptions for medicines in hospitals had been simplified, resulting in many fewer prescribing errors. 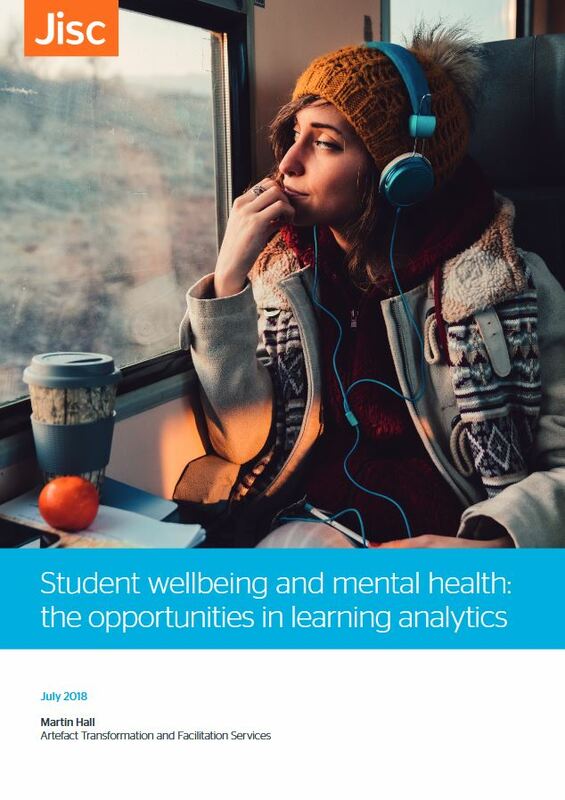 Behavioural Insights is now applying some of these techniques to education to help overcome various barriers to engagement and learning. We’re very grateful to Sarah Parkes at Newman, who provided an excellent venue and organisation for the session. We’re now starting to plan for the next event, which is set for 2nd November 2016 at The Open University’s campus in Milton Keynes. Posted by Niall Sclater on July 12, 2016 in Network. Hi Eilif, great to hear from you, and interesting to hear about the development at Bergen.